IP65/IP67 waterproof and dust-tight switches and routers from the OCTOPUS family allow fail-safe networks to be installed in a variety of application scenarios, even under the most difficult conditions. 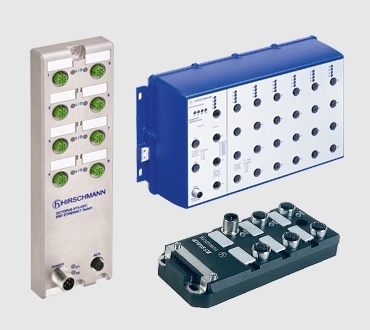 The switches and routers in the OCTOPUS family meet application-specific regulations, including EN 50155 for operating conditions in railway vehicles, EN 50121-4 for use along railway lines, EN 45545 for fire protection in trains, GL for ships, and e1 for use in road vehicles. Versions with Power over Ethernet (PoE) support allow these devices to be powered via a data cable, meaning no special PoE-power-supplies and no additional power cables are needed. Even if your applications require Gigabit speeds, you will find the right switch in the OCTOPUS family. All models offer maximum reliability. Moreover, it‘s not just the models with integrated power supply that offer space saving installation, all OCTOPUS switches and routers are characterized by their extremely robust design, comprehensive redundancy methods and security functions. Port Flexibility - The Embedded Ethernet EES20 and EES25 switches each have six Fast Ethernet ports that can be configured for either 10/100 BASE TX or 100 BASE FX. 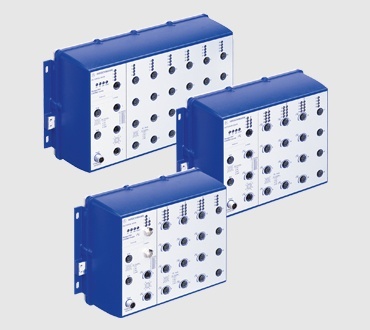 Robust Management - EES20 and EES25 offer extensive management and filter functions plus a variety of redundancy protocols and port security. Precise Synchronization - Support per IEEE 1588v2, plus PRP (Parallel Redundancy Protocol), which guarantees uninterrupted data communication. Both versions can be integrated into the Hirschmann network management software Industrial HiVision. Download the case study “Belden Supplies Powerful Network Solution for New Substation Automatin System in India” and learn how industrial Ethernet switches were choosen for five new substations in India.